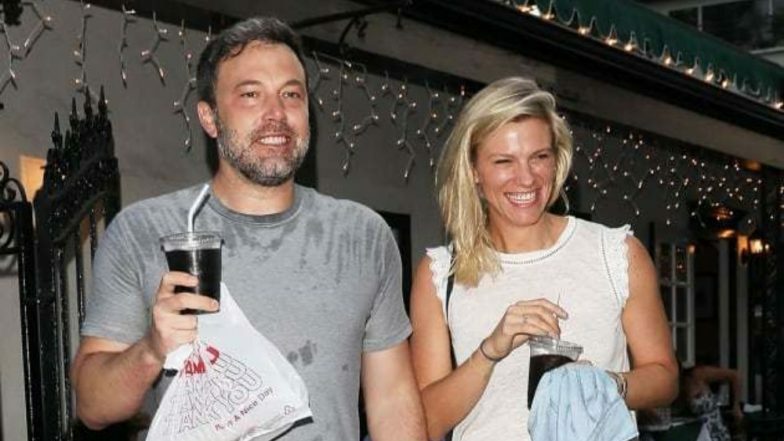 Ben Affleck And Linsday Shookus Have Called It Quits Yet Again! Ben Affleck and Lindsay Shookus' relationship has taken another setback as they have reportedly split. After returning from his rehab stint, the former Batman reunited with his on-again/ off-again girlfriend Lindsay. However, looks like they have called it off again. As per a report on People, distance played a major factor in breaking them up. Said a source to the outlet, “She has a kid and an ex-husband and a job in New York and Ben has his family and a job in L.A. and while they love and respect each other they just realized it wasn’t going to work,” and further added, “They really gave it another solid try.” Affirming that they will continue to feel for each other, the source concluded, “They will always have love for each other.” This is the second time the couple broke up since being first romantically linked. Rumours about Ben and Lindsay first surfaced back in July 2017 when they were spotted grabbing dinner together. However, they broke up ahead of Ben's rehab stint in August 2018. Once again, paparazzi started spotting the couple in the recent months after they rekindled their relationship post Ben's return from the rehab. They even attended Affleck's new Netflix film Triple Frontier premiere earlier in March. Sadly though, distance seems to have put a damper on their relationship. While Affleck resides in Los Angeles near ex-wife Jennifer Garner and their children, Violet, Seraphina and Samuel, Lindsay is in New York City. We just hope things work out for them, maybe in the future.